On July 13, we hosted an AMA (Ask Me Anything) on the CMX Slack community with Laura Small, Director of Community at 7 Cups of Tea. Laura brought with her over 2 years of experience at her company, 7 Cups, and a background in affiliate and brand marketing. 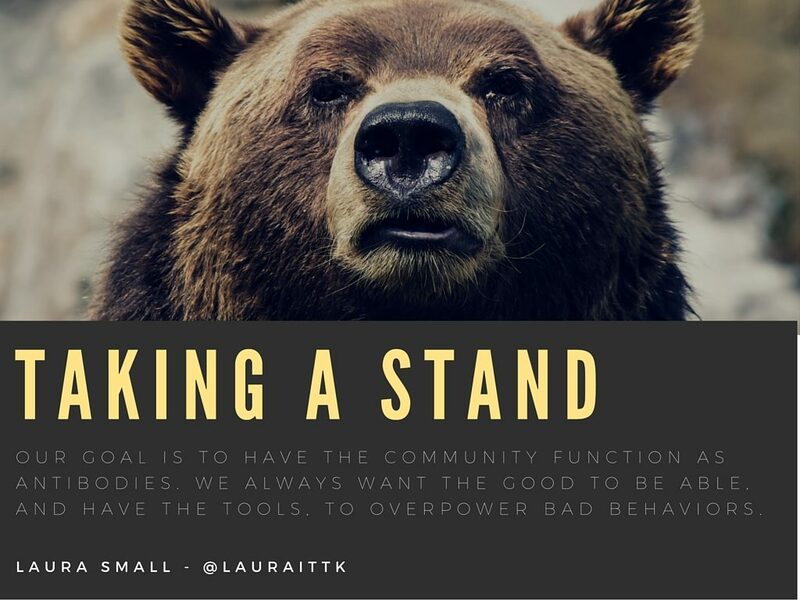 Laura shared insights on managing a community for those looking to find confidential support and online therapy and imparted her lessons on community management — and managing your own self-care. We were happy to catch up with Laura, not only for her community management skills, but because 7 Cups just celebrated their third birthday. To keep your community positive, create firm guidelines. When planning community events, give your volunteers a signup sheet where they can take ownership of creating part of the experience. Make feedback a part of your community process. Create and build a community culture where fear does not dominate. Self-care isn’t special. You should do it all the time. 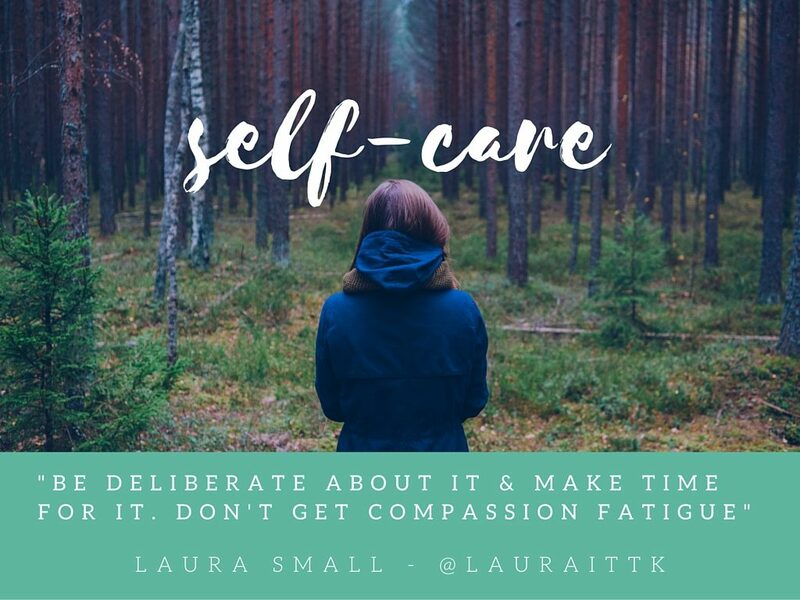 Avoid “compassion fatigue” by taking breaks as part of your regular community management routine. Want to read the whole thing, in its entirety, on our CMX Community Managers Slack channel? Join our community. 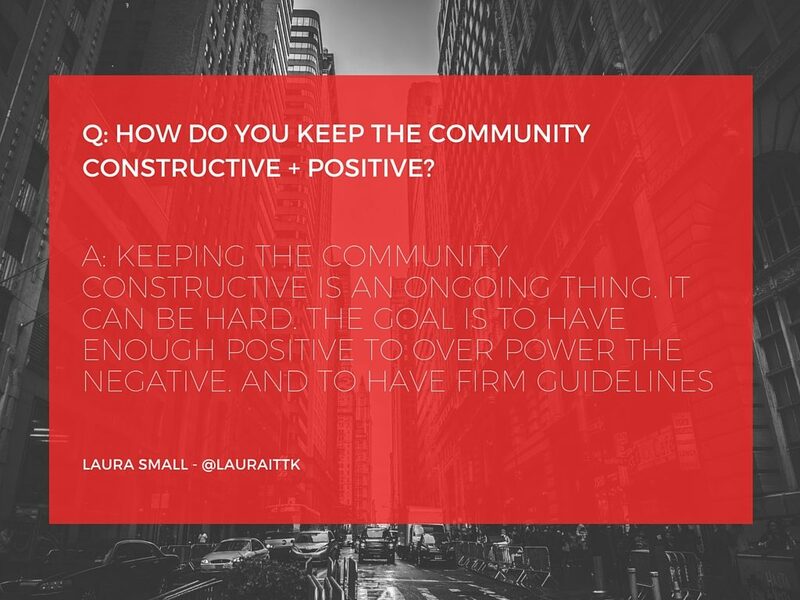 @Sarah Lang: How do you keep your community constructive and positive? What are best practices for giving feedback to members? “When a listener is in a chat and the member leaves a text review for them, that text gets used to give the listener feedback on a specific skill they can work on. So if it’s empathy, we’ll let that listener know that they can improve in this area. @Sara Sigel: What is your favorite online party you’ve thrown and how did you get people to attend and engage? “My favorite… oh my! It would have to be the time I somehow got an entire chatroom to do an entire choreographed dance… but that was not my most engaged party! Every July, we do 7 Cups birthday parties. Since we just finished one, it’s fresh on my mind. What type of members do you see becoming bullies and what tactics do you use to deal with bullies? “People who are being bullies have generally been under the radar until they act out and I get to know them. In terms of managing them, we have a bunch of product enhancements in place such as censoring for phrases, spam filters live chat room warning system, in-chatroom muting…etc. How do you reward and incentivize the community? “At 7 Cups, we have levels and badges, which people love. Good behavior is also rewarded in shout-out threads, which is where people are loving on one another and calling each other out for positive contributions. Good behavior also gives you special privileges such as forum editing abilities and moderating abilities. 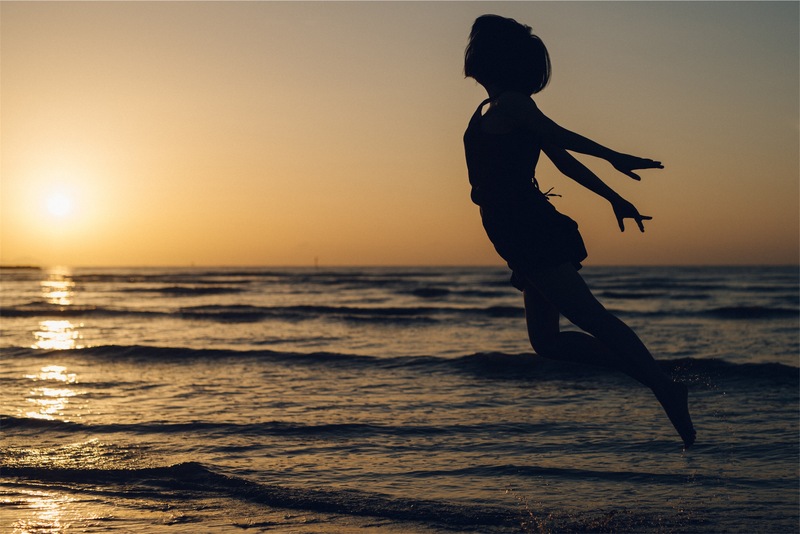 Laura Small then posed a question back to the the AMA group: When you are doing self-care, do you find it difficult to really let go? If so, how do you manage that? Then she explained: “I’ve become better at this as I have gotten older. Things don’t get easier, you just get more comfortable with being uncomfortable. My advice is to be deliberate about it and make time for it. I realized community members at 7 Cups were not doing self-care and I had to create a self-care program around it and information. I was seeing compassion fatigue mostly on the listener side. These listeners in our community give and give, but they were forgetting to take care of themselves too. How do you track ROI and community success? 1) Engagement and Supportive messages exchanged every day, week..etc. 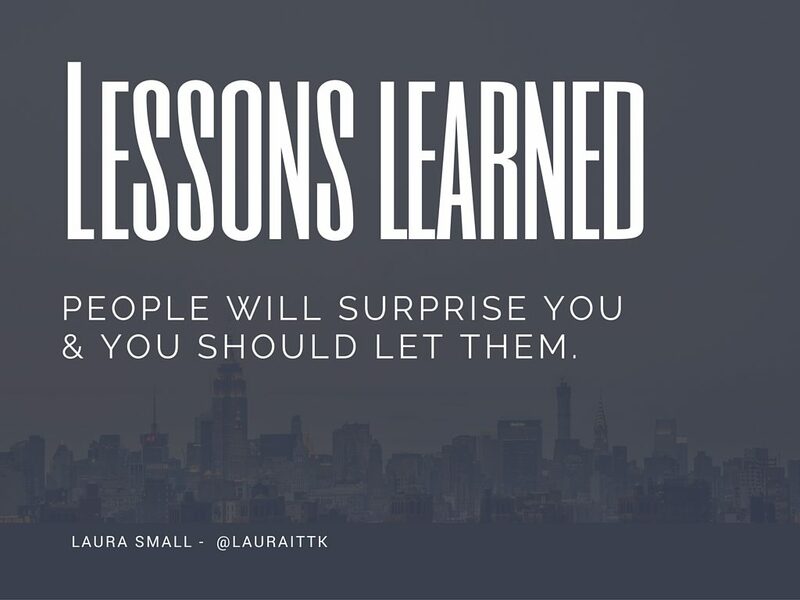 What is the biggest lesson you’ve learned in your community career so far? Want to stay tuned to learn about future AMAs? Join us in the CMX Slack channel and subscribe to the AMA calendar.